When tasting someone else’s food for the first time, there is always a bit of a risk–whether the food will be satisfactory or not. Will it quench that craving of delight and hunger? Will it sit in your stomach well? The same can be said for film, especially when dealing with a debut director who only has small, difficult to find short-films that are usually discovered by accident or through scouring the web for elongated periods of time. Thankfully, The Lunchbox is a pleasantly packed surprise of a film. It’s been a long time since I have anticipated a small independent film that looks to be a happy-go-lucky telling of real people dealing with very real everyday issues. For the most part, so many independent foreign films today are embedded in the world of deep tragedy, pain, and suffering. The Lunchbox is a refreshing and unique gem of a movie filmed on location in Mumbai, India. Although the trailer of the film promises a feel-good premise with the chance of a realistic happy ending, the film instead opts for ambiguity and a chance for hope, another very strong yet common characteristic of independent foreign films. The main incantation of The Lunchbox is that, “sometimes the wrong train, will get you to the right station”, with a few unexpected stops along the way. Although the film did not fully exceed my expectations and offer a truly unique, foreign experience, the film is still an essential viewing for people with a hard to please foreign appetite. The Lunchbox is a complete sensory film experience. From the moment Saajan Fernandes (the irreplaceable Irrfan Khan) receives his new green lunch surprise full of culinary wonder, he revels in its delicious smell, almost eating his food with his nose. The green lunchbox of wonder that Sajaan receives comes from the magical hands of Ila (the wondrously beautiful Nimrat Kaur). Ila, whose new life as a content housewife, finds very simple pleasure in her everyday duties as a wife and mother; such as the entertaining stories of her unseen Auntie who lives atop her, the longing of her husband’s love and affection and the confidence knowing that she prepares a lunch for her husband that is both tasty and nutritious. Unfortunately for her, Ila’s husband Rajeev (Nakul Vaid) spends more time at work, in front of his cellphone, and attending to the needs of his profession, never really giving Ila and their daughter any attention. When we first meet Saajan, he is a closed off, lonely man intent on being left alone. Pushing papers and working almost unseen by his employees and the world around him for the last thirty-five years, his world is nudged ever so slightly when he is tasked by his boss to train a new employee, Shaikh (Nawazuddin Siddiqui) who will be taking his spot as he nears retirement. At first, Saajan avoids Shaikh, making a run for it as soon as his shift ends, and diverting the young, enthusiastic Shaikh to mindless duties. As time passes, the wrongly delivered lunches continuously make their way to Saajan, he allows happiness and change to enter his life, allowing him to warm up to Shaikh, as they connect and bond over sharing the miraculous lunch which leads to a healthy friendship for the two co-workers. The film teaches that everyday all over the world people are connected in ways we cannot begin to imagine until we get to know them. First time feature film director Ritesh Batra may not be as discreet with his foreshadowing of people’s kindred spirits, but nonetheless, his efforts are met with an open-minded happiness and joy that such a filmmaker exists. Set in the hustling-bustling centre of one of the most populated cities in the world, this small film focuses on the chance relationship between a man and a woman who are both searching for new meaning in their constantly disappointing lives. Both main characters offer us a very sensible look into the lives of men and women in India; the life of a working man in an office; and the life of a domesticated, elegantly unappreciated and beautiful housewife. As the two individuals continue to send letters to one another using the lunchbox as their own personal express-mail system, sharing their inners thoughts, secrets, and discontents with life, they begin a special bond that allows them to enact many of the unwanted desires that allows each of them to better one another’s lives. Both Saajan and Ila lead lonely lives, bound to each of their own desks (one an actual desk, the other a kitchen counter top), they use one another bravery and resilience to accept a mundane life for a chance at happiness, which is all you can ask from any piece of art. 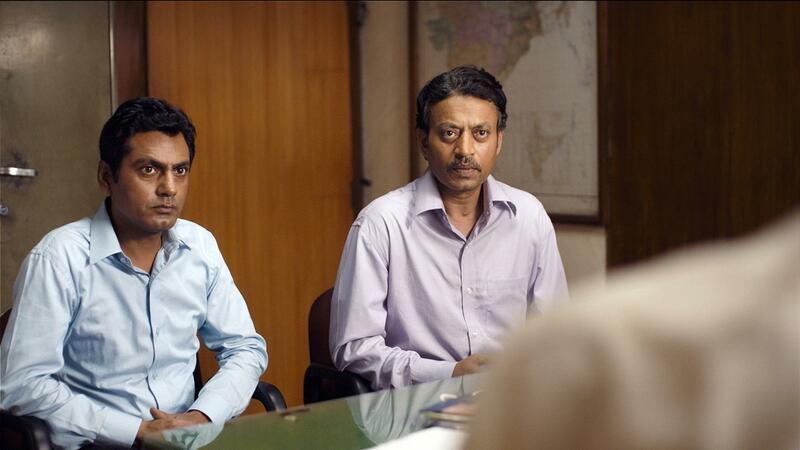 The Lunchbox is a tiny little film that asks, ‘what do we live for?’. Do we live to attend to and please others, packed into an existence that can be easily replaced by a catering service or another employee? Or are we meant for something greater? I may have expected more of the film halfway through the back-and-forth of Ila’s and Saajan’s letters, but I am reminded of the small beauties of a hearty film such as this one. This is a film that reminds each and every one of us that no matter how small or overpopulated the world may be, there is always time to learn about the different worlds and experiences of people so far away in distance, but close in emotions. 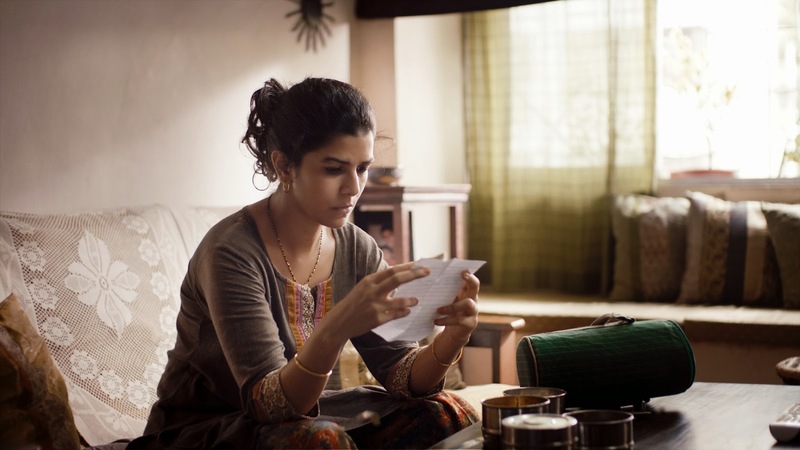 “We forget things if we have no one to tell them to”, as The Lunchbox proclaims, and these are ingredients in a film that work just fine with me. Night Film Reviews: 7.5 Out of 10 Stars. Was your heart put onto a blazing burning of love and compassion, or left cold in the refrigerator? Was The Lunchbox a pleasantly wrapped cinematic surprise? Or did it upset your stomach and expectations? Leave recipes and ingredients below. This entry was posted in Reviews and tagged Bharati Achrekar, Irrfan Khan, Nakul Vaid, Nawazuddin Siddiqui, Night Film Reviews, Nimrat Kaur, Ritesh Batra, The Lunchbox. Bookmark the permalink. This film is heart warming and touching to say the very least. It also offers us an opportunity to travel to Mumbai, one of the most populated cities in the world and take a glimpse into what at first would appear to be very different lives. But, as you so expertly point out, with so many universal scenarios. Ila, a woman so traditional, yet not so, because of her expectations, and ultimate decisions . Reminds me of films like “Eat Drink, Man Woman” and “Doña Flor and her Two Husbands” where the food takes on a role in itself. So happy you have chosen to review this movie and support Independent films to encourage people to venture out and indulge in these hidden gems. Your review is right on and for me the ambiguous ending although very hopeful provides a departure from the typical hollywood ending very expertly. Loved the movie, love your reviews and look forward to them. Excellent work!! !